The Top Groups of Southern Africa. Never before all these top bands left southern Africa to meet at the same festival and to go into the same studio. 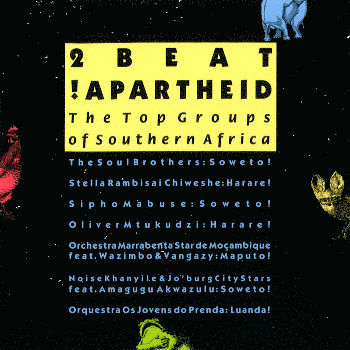 Never before all these stars of Southern African Popular Music have been together on one single record. Hear: Sipho Mabuse, Orchestra Marrabenta, Oliver Mtukudzi, Os Jovens do Prenda, The Soul Brothers, Stella Rambisai Chiweshe and Noise Khanyile!